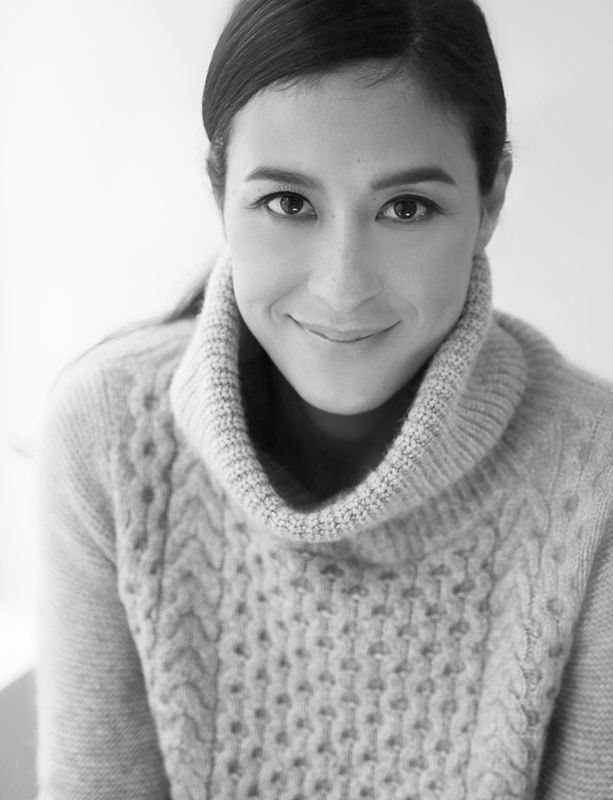 We had the chance to work with Madeleine Thompson Cashmere, designer of the most beautiful cashmere pieces. As a result of our cooperation, we are releasing our cosy and stylish Diversity Jumper. The person behind the London based brand is Madeleine Thompson. 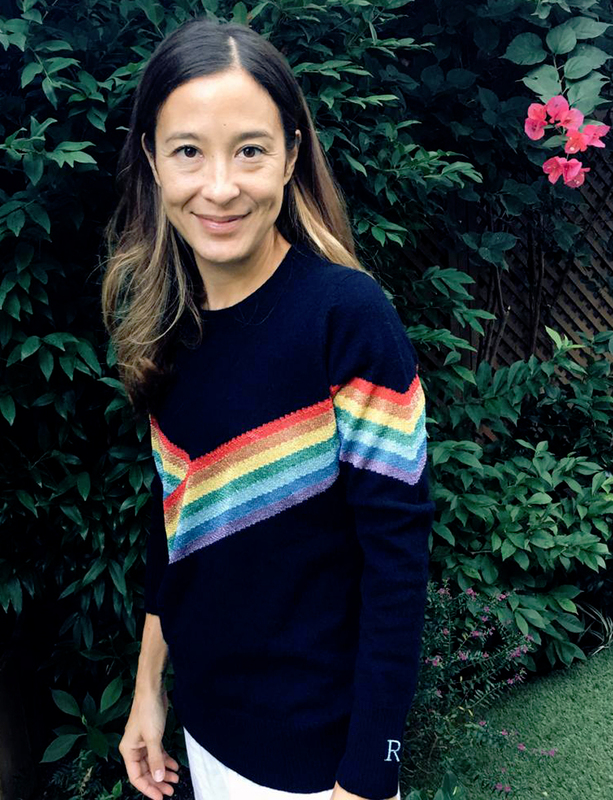 We interviewed her and discussed her love for high quality cashmere, how to care for it best and what she hopes to find at the end of a rainbow. You’re the designer and creator of Madeleine Thompson Cashmere. When did you start your business and what is it all about? I started the business almost 10 years ago! And I think our message has been the same the whole way through: to design and manufacture amazing quality cashmere and to push the boundaries of how knitwear is made and worn. I loved the idea of making contemporary pieces in this ultra-lux material. Your knitwear is dominated by the material cashmere. What do you love the most about it and what makes it so special? Cashmere is just the most special material! It breathes when you’re warm and keeps you so snuggly when it’s cold! It really is the most versatile and wonderful way to wear clothes. I am thrilled to be part of the revolution in the change in how people are wearing knitwear. How to care best for your cashmere products? It responds well to dry clean and the best way at home is to wash with a good cashmere shampoo by hand (don’t ring it out and don’t scrub it). Lay it flat on a towel to dry (never hang it) and if you want to really protect it you store it in separate bags in your closet. Your first Madeleine Thompson designer piece? I’m very inspired by vintage sportswear and that contrast between working it in cashmere and keeping it with that edge. How do you style our Madeleine Thompson x REBELLE Diversity Jumper? I ADORE this jumper. It’s rock ‘n ‘roll and just super fabulous. I would wear with big boots and a shirt skirt. It is said that a treasure is hidden at the end of a rainbow. 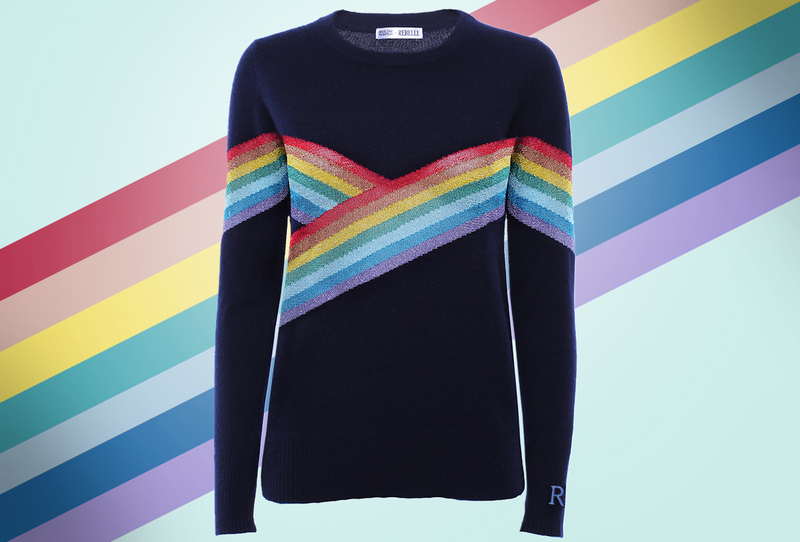 For what designer treasure would you hit the rainbow route? Speaking of treasures. Do you own vintage treasures? Yes of course! Some of my best pieces are vintage; especially dresses from the 70’s, my favourite era. I have always loved Chloe and the timeless romance and bohemian glamour of the brand. Nowadays I buy and wear a lot of Ganni which is killing it. It’s just spot on. You grew up in both London and Hong Kong. What has shaped your style the most from these cities?